Too much nail polish and too little time! 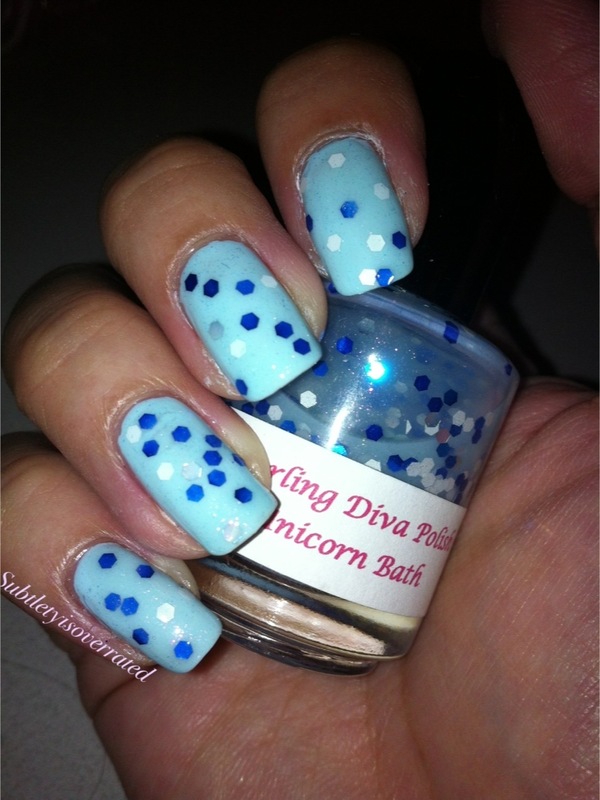 I used a baby blue base and topped it with two thin coats of Unicorn Bath. I love the name! Unicorn bath is quite sheer and requires a bit of dabbing to get the bling on but no biggie. 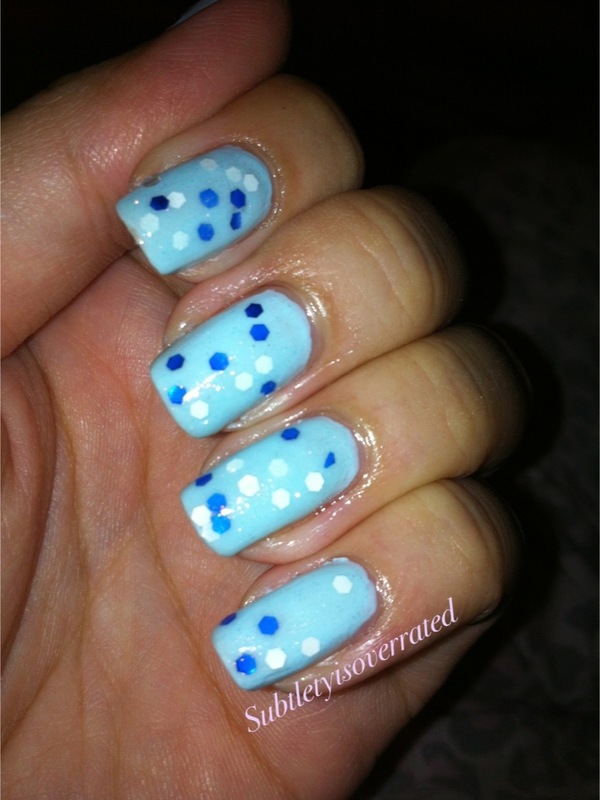 It’s made out if large pieces of royal blue, white and holo hexes suspended in a very very light blue jelly base. There are also very very fine slight pinkish shimmer worked in to the base that gives this polish a very subtle bling effect. What do you all think? I think I will try a pink base with this and see how this combo works for my next mani. I love everything about nail polishes and nail art. There are so many possiblities to express one's creativity thru nails!